A Radeon X1550 has been generously donated, and arrived today. One minor modification to the driver was required in order to get it to use the card. The HIS Radeon X1550 PCI card has the Hot-Plug Detect (HPD) pins swapped between the connectors. Thus, connecting a monitor (or a VGA to DVI adaptor) to the DVI port registers as a monitor connected to the VGA port (which it thinks is a DVI port). Moreover, the VGA connector is not supposed to have an HPD pin, since this is a DVI feature. 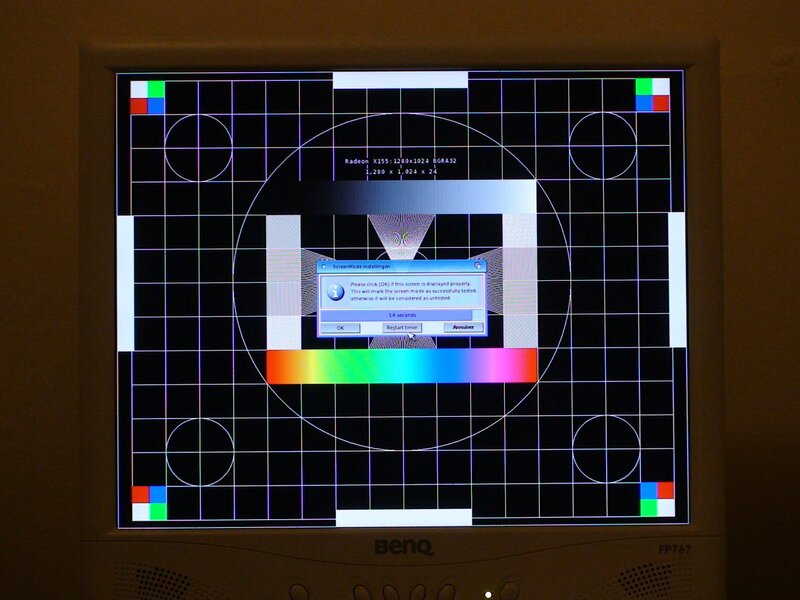 Thus, the driver skipped checking the VGA output for a connected monitor and decided that there was nothing to output an image to. A quick fix, eliminated this problem, resulting in a working card. This is another R5xx series card (it has an RV505 chipset). Now that I have a fully working (to the best of my knowledge) R5xx card, I can work toward hardware accelerated rendering. However, hardware sprites (for the mouse pointer) will be completed first.